An essay on a book, also called a book review, is an instructive report on a book. 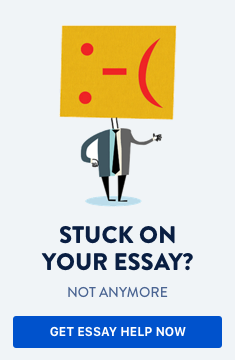 Such essays describe a literary work by providing a theme, characters, outline, thesis, main idea, and style of work. When writing an essay on a book you are required to provide a summary or an abstract of the literary work. Once you have the above information, check preface or foreword of the book. This will provide you with an author’s intention on writing this book, what he/she thinks about the book’s relevance in present scenario and why this book should be read. Table of contents is an important section of the book as it helps in understanding organization of the book and an author’s story flow. You should acquaint yourself with the table of contents so to get an idea on how the author has planned his book. Now, let’s try to understand how to develop a good thesis. In developing a thesis, you must consider the theme, intention and style of the work (look at the audience –academia, general public or students) to develop a main point of criticism. Also, take into account the author’s intention and style of work while developing your thesis. Description: You need to describe the way in which the author has presented scenes and events in the book. You can capture all details in words or sometimes even in pictures. Narration: For this style, you will need to understand how the author tells the series of events. Normally, this is presented in sequential order. Please note, that in a novel, the author may deviate from the sequence to allow room for a new idea or view. Exposition: You need to screen how the author breaks down the story or events so that you can explain with an element of impartiality. Remember that here the main idea is to explain in a detailed manner. Argumentation: To get an idea on this style, you will need to write on the author’s persuasion method. The objective is to use an argument as a tool to take sides of a statement or a problem. In addition to the above-mentioned guidelines, it is advisable to compare the book under review with other similar books. This will help you in gauging whether the book presents a distinctive view or it is a run-of-the-mill work. Thus, your essay or review will be comprehensive and will provide a strong critique of the literary work. A review of the author’s biography may also help you in understanding the author’s viewpoint and can help you in understanding the book better. Finally, you should provide a conclusion of the book review by giving your assessment and recommendation. This includes your purchase opinion to the potential readers of the literary work. In summary, ‘how to write an essay about a book’ is an easy question if you adhere to the simple guidelines outlined above. These guidelines require you to obtain and present information on the general content of the book, which includes the author’s biography, theme of the book, thesis and style used in the literary work. Always remember that your end goal is to make your reader understand in an unbiased manner whether the book is worth buying or not. Do you need help with writing a book review?